What to do with a sticker? I have a "daily driven." 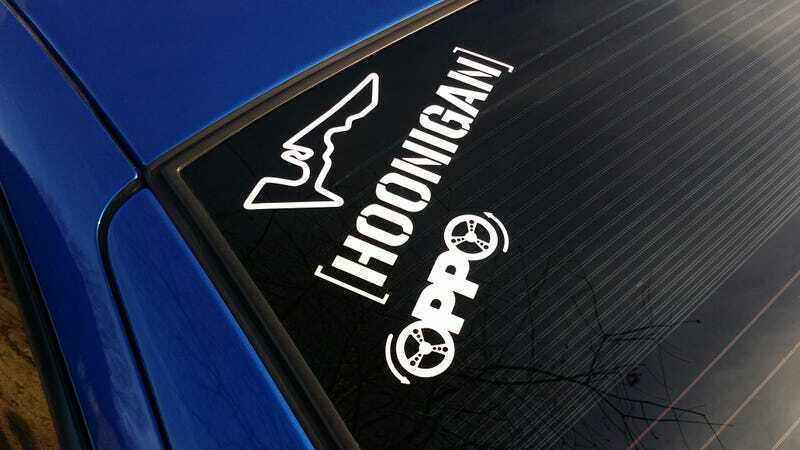 sticker that I'm trying to decide whether it should go on my car (I drive a 04 SRT-4). Should I? Will it make me a douche, more so than I already am? Should I cut it in half and just put the "daily" on? What say you, oppo? [EDIT] Looks like it'll stay off, at least for the time being.